Convenient, great service and good room size. 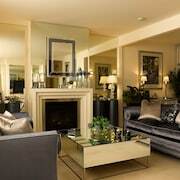 Great service reception were very friendly and accommodating. 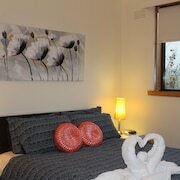 Rooms were very nice, clean and spacious and very convenient for going to the MCG. Would definitely stay again. 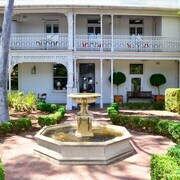 Loved the character and old world charm of the building. It is conveniently located for Richmond and City attractions. Afflicted with FOMO? Spoil yourself with a holiday in Richmond. 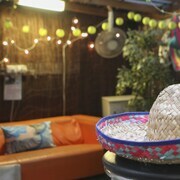 Situated 4 kilometres from central Melbourne, it's a fabulous place to stay while exploring Victoria's capital. There is no such thing as being bored in Melbourne. Head to iconic sights like the Crown Casino and Entertainment Complex, Federation Square and St. Kilda Beach and make sure you humblebrag to everyone back at home afterwards. Wandering through Richmond and the surrounding area almost always includes exploring the National Gallery of Victoria and the Royal Botanic Gardens. Too exhausted to travel for miles? 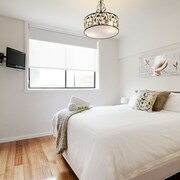 Need a hotel near Federation Square? Simple. 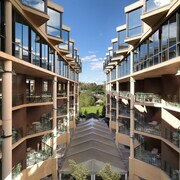 Try the Crown Towers, Park Hyatt Melbourne, Grand Hyatt Melbourne, The Westin Melbourne and The Langham, Melbourne. You won't have to spend half the day in the car to check out the National Gallery of Victoria. 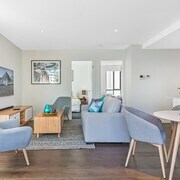 Stay close by at the Docklands Executive Apartments, InterContinental Melbourne The Rialto, Quest Southbank, Clarion Suites Gateway and Crown Metropol and have extra time for the fun stuff. The top-notch calendar of gigs at Margaret Court Arena is a big drawcard for many visitors. 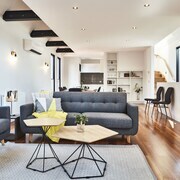 The Melbourne Short Stay Apartment at SouthbankOne and Melbourne Short Stay Apartments are some of the most popular places to rest your head nearby. Sidney Myer Music Bowl is a great venue for live music concerts. Need somewhere to tuck in close to here? 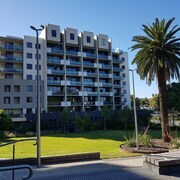 The Quest Jolimont and Amity South Yarra Apartments are popular with many visitors. You certainly don't need fluffy bathrobes, an enticing room service menu and luxurious cotton sheets all the time (that said, it's nice sometimes, right?). 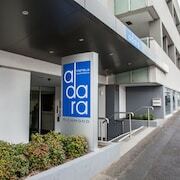 The elegant options here are the Amora Riverwalk Melbourne and Adara Richmond. Can't seem to snag a decent Richmond hotel room? Don't tear your hair out — there are heaps of options to choose from in Church Street and Cremorne. In a few clicks you can log off and start packing your bags for an epic Richmond adventure. From hotels to flights, we'll help you every step of the way — just say the word!